If you live in Europe, you are frequently reminded of the cost of war as you drive through the countryside. There you will pass the scars of conflict, including the numerous military grave sites that dot across the European landscape. In contrast, after 73 years of relative peace, it has become a challenge to connect our Canadian youth with the generation(s) that have gone before them, who fought to maintain Canadian liberty. 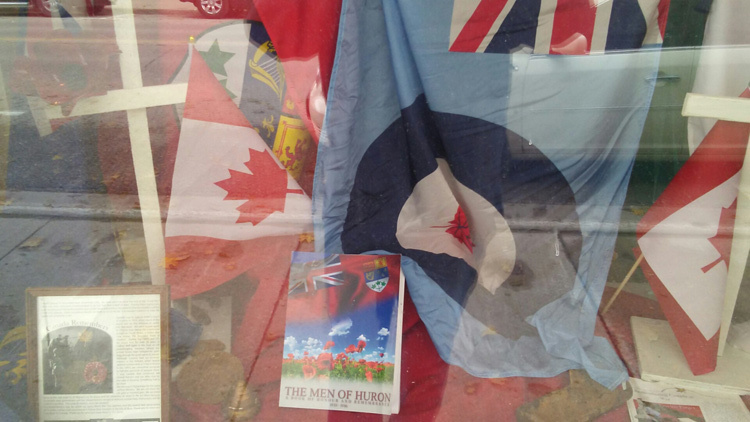 For Canadians, our reminders are fading as veterans age and local legions shut their doors. If we are not careful, Canadians could lose touch with the lessons learned in past conflicts. Our schools are vitally important in keeping alive the memory of Canadian sacrifice, and educating our youth to know that freedom is not free. St. Anne's School in Clinton is doing an exceptional job with their Remembrance Day program, November 9th, when the school body assembles to honour and remember our fallen. The program includes a drama presentation, music, special speakers and prayer. Congratulations to staff and students for honouring and remembering our fallen.